Not all countries are the exact same, and swimming regulations and rules are changing from one country to an additional. Looking for Outdoor Pools in Ohio? Many of them belong to gyms or sport centers which also give lessons. Water sports are escalating particularly in elderly population sectors who have suffered some type of muscle or bone damage. We presently have the following Pools, but we are generally grateful for any corrections or contributions. Get in touch via our contact form. Swimming is a sport for all ages. It assists young folks to tone their muscles and grow wholesome and robust. These would be the Outdoor Pools in Ohio other users have reported. Are you a local and your pool is not listed? Contact us to ADD IT. It's free of charge! It's difficult to visit Ohio without dropping by Columbus (with 787.033 residents). 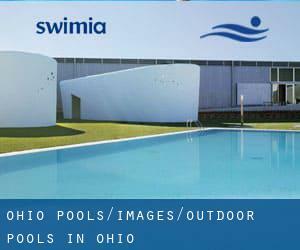 Presently Swimia is showing you all the Swimming Pool in Columbus and the closest pools situated in its vicinity. Swimming is really a fantastic idea to help keep your body active in the course of your visit to Cleveland (Ohio), or even if you are a local. Swimia helps you to locate your closest Swimming Pool in Cleveland. Without a shadow of a doubt, swimming in Toledo is the very best solution to unwind after work. 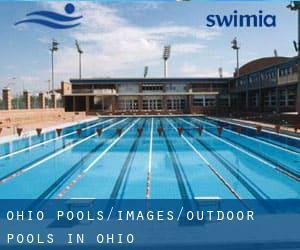 Take a couple of minutes to browse Swimia's catalog to find a Pool in Toledo. 8108 Clough Pike , Cincinnati , OH , USA (Postal Code: 45244). Few days ago a typical user of this center told us they offer 25 yards x 45 feet, 6 lanes, Indoors. Furthermore, they keep in good conditions Olympic size, 6 lanes, Indoor/Outdoor. For this Swimming Pool, only phone number is number here. 1600 Princeton Dr. , Dayton , OH , USA (Postal Code: 45406). This sports center offers 25 meters, 6 lanes, Indoor/Outdoor. For this Pool, only phone number is number here. 4000 Trail On Rd. , Moraine , OH , USA (Postal Code: 45439). This sports center gives 25 yards, 5 lanes, Indoor/Outdoor. For this Swimming Pool, only phone number is number here. Updated on 2019 4191 Glenmoor Road N.W. , Canton , OH , USA (Postal Code: 44718). Among all of the activities supplied by the center, should you be interested in swimming you'll enjoy 25 meters, 5 lanes, Indoor/Outdoor. Just in case you want to make contact with this Swimming Pool prior to dropping by, we only know the phone number. 5520 Cherrywood Drive , Columbus , OH , USA (Postal Code: 43229). Among all the activities offered by the center, for anyone who is thinking about swimming you will take pleasure in Olympic size x 25 yards, Indoor/Outdoor. Just in case you would like to make contact with this Pool prior to dropping by, we only know the phone number. 140 Derby Downs Rd. , Newark , OH , USA (Postal Code: 43055). Swimmers like you reported 20 yards, 4 lanes, Indoor/Outdoor. Unfortunately we do not have the e-mail address of this Swimming Pool, but we can provide you with the phone number. 2900 Glengarry Dr. , Kettering , OH , USA (Postal Code: 45420). Swimmers like you reported 25 yards x 60 feet, 8 lanes, Indoor/Outdoor. Phone number and e-mail address are number for this Swimming Pool.